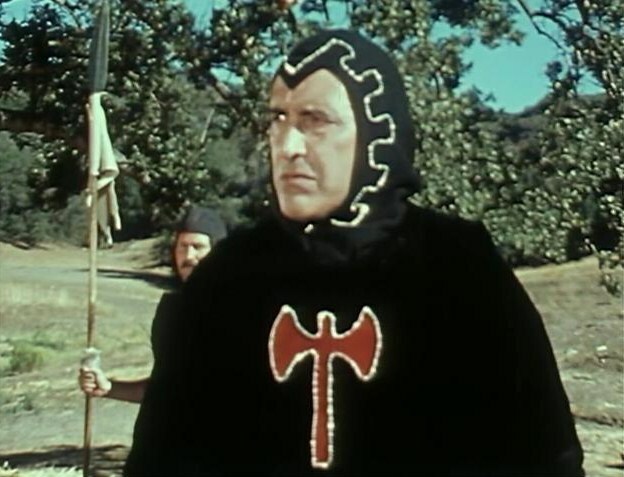 The team soon discovers that a group of outlaws have modeled themselves on the mythical Robin Hood and are fighting in Sector 25 an evil tyrant named Lord Leslie. At first, Jonah is amused by the strange conflict and personalities the Ark II encounters. He puts up a force field barrier between opposing armies during one battle. But then, Lord Leslie captures the Ark II and Jonah’s crew is taken hostage. While hoping to convince Robin and his merry men that “robbery isn’t the answer and neither is violence,” Jonah nonetheless requires their assistance if he is to retrieve the ark and its personnel. Fortunately, Jonah also has help – of a sort, anyway – from inside the Ark II. The intelligent chimpanzee Adam has been taking driving lessons and, in a slapstick comedy scene, takes the craft on a wild joy ride, all the while firing lasers and even doing an embarrassed face palm. 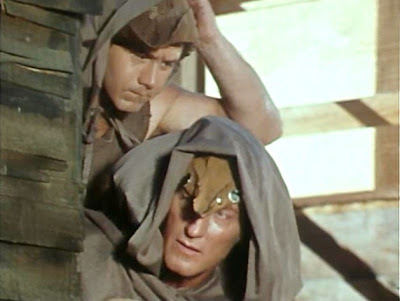 “Robin Hood” is a weird and borderline amusing episode of Ark II. The idea of post-apocalyptic people taking on the characteristics of a hero from literature doesn’t seem that farfetched given other examples of this genre, like Star Trek’s “A Piece of the Action,” which saw an alien culture model itself on a book about the Chicago Mobs of the 1920s. But one of the more interesting and bizarre images to come out of Ark II is certainly “Robin Hood’s” visual of Lord Leslie’s flamboyantly-dressed minions riding trikes in the desert. 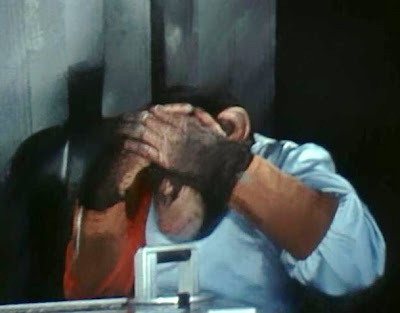 It’s like The Road Warrior meets the Crusades…in the Planet of the Apes Forbidden Zone. John nice review of Ark II "Robin Hood" episode. I agree that after the previous episodes "Robot" and "Omega" this was a let down. However, I did appreciate, as you stated, the Road Warrior with motorcyles nod three years before the Mad Max films would be made. As a boy in '76, the high point of this episode was seeing the beautiful Ark II in action even with Adam at the helm. 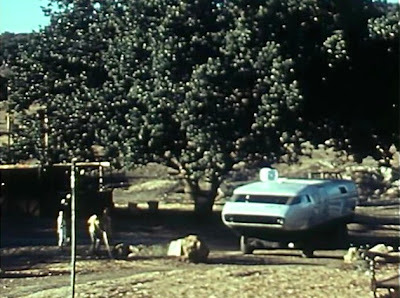 Honestly, I could have thoroughly enjoyed watching an entire episode of just the Ark II in action on a road trip. 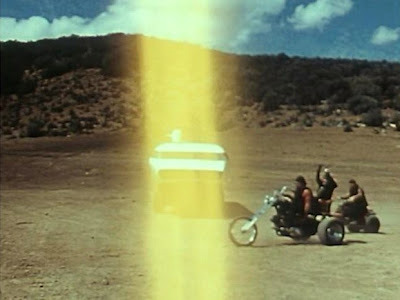 In the opening credits, e.g., we see the Ark II going full throttle in the flat open desert, extremely cool. I liked the use of the Ark II's force filed barrier too. Also, the "reports" of problems in sectors that the Ark II crew is constantly getting must be coming from the Ark's home base transmitting them messages of where to go on each episodes mission. Much the way Kirk's Enterprise would get messages from Starfleet Command. Sorry about that, correction: that is force field barrier, not filed :) I have to prove read my fast typing. I think I have had too much coffee today, already.